The roots of Groundhog Day can be traced back to the Lutheran celebration of Candlemas (Presentation of Jesus at the Temple) that occurs 40 days after Christmas. The holiday is linked to a number of traditions and superstitions, including weather lore. Some of these traditions may have derived from the pagan festival named Imbolc, which is held on February 1 and 2. In German-speaking areas of Europe, people watched a hibernating animal emerge from its burrow to predict the start of spring. If it was a sunny day and the animal cast a shadow, winter would be prolonged for four more weeks. The original weather-predicting animal used to be the bear, but when bears grew scarce the lore became altered to feature the badger, and Candlemas became known as Badger Day (Dachstag). German-speaking immigrants to Pennsylvania (commonly referred to as the Pennsylvania Dutch, although they have no connection to the Dutch people or Dutch language) brought the tradition to the New World. As there were no badgers in Pennsylvania, the groundhog became the weather-predicting animal for the Pennsylvania Dutch. According to lore, if a groundhog emerges from its burrow on a cloudy day and doesn’t see its shadow, spring will come early. If the day is sunny, the groundhog will see its shadow and come back into its burrow which means that the cold winter weather will persist for six more weeks. Although modern studies have found that there’s no correlation between a groundhog’s behavior and the subsequent arrival of spring, the tradition remains very popular. The first recorded observance of Groundhog Day in the United States occurred on February 2, 1840, although it was definitely not the first actual one. Today, Groundhog Day is celebrated in many cities in the United States and Canada, as well as in some other countries. The biggest Groundhog Day celebration is held in Punxsutawney, Pennsylvania. It is centered about a groundhog named Punxsutawney Phil who has become internationally known thanks to 1993 film Groundhog Day starring Bill Murray. According to the lore, Phil has predicted the arrival of spring since 1886, sustained by a magical elixir. 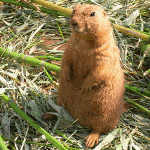 All other groundhogs named Phil are considered impostors. The Groundhog Day ceremony in Punxsutawney begins long before sunrise. It is organized by members of the Punxsutawney Groundhog Club Inner Circle, a select group that takes care of Phil in between Groundhog Days. Phil emerges from his temporary burrow on Gobbler’s Knob, and his handlers bring him to the President of the Inner Circle. Phil “tells” the President whether he has seen his shadow, and the President interprets his message to the audience. The ceremony is staged and scripted in advance, and the Inner Circle decides whether the groundhog will see his shadow or not beforehand. Every year, the Groundhog Day celebration in Punxsutawney gathers around 40,000 spectators.